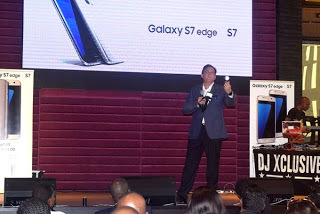 "As a testament to Samsung’s commitment to developing best-in-class products to meet the ever-changing needs of its consumers, the leading maker of consumer electronics has launched into the Nigerian market the most advanced smartphones in its stable, the Galaxy S7 Edge and S7. 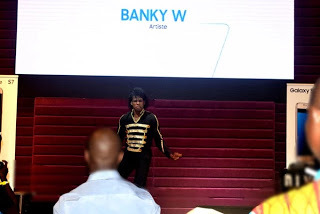 The devices were formally unveiled on Wednesday, March 23rd at a launch event held at Hard Rock Cafe, Victoria Island, Lagos. Successors to Galaxy S6 Edge and S6, Samsung Galaxy S7 edge and S7 are a blend of premium components with the most advanced Samsung technology. They are imbued with incredibly intelligent cameras and have set a new industry standard for design, craftsmanship and performance. 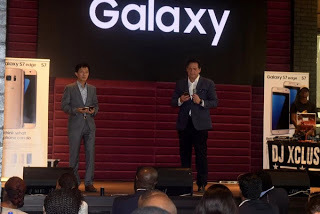 Mr. Paul Lee, Managing Director of Samsung Electronics West Africa, said that the new Galaxy S7 and S7 Edge highlight the most refined phone experience ever by combining the latest technology that users expect from Samsung’s Galaxy series. 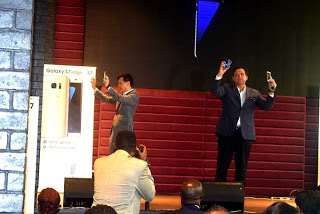 Mr. Lee reiterated the company’s commitment to fulfilling its brand promise of inspiring the world and the future by bringing new and outstanding innovations to the doorstep of consumers. “Our innovative technology has adequately captured customers’ aspirations and desires,” .